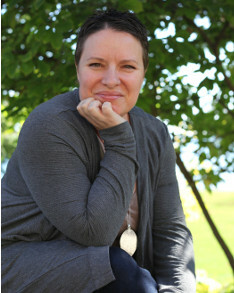 Michelle Haché is a certified reflexologist with the Ontario College of Reflexology, a Registered Reflexology Practitioner with the Reflexology Registration Council of Ontario, a Reiki practitioner as well as a birth professional in Burlington, ON. Along with her years teaching fitness and work at Birth Beginnings she has been able to make positive impacts on the health and wellbeing of many. She is passionate about her job because she recognizes her small acts have a huge impact on the individuals and therefore the families and communities she works with. She wanted to add a new avenue to her business while holding true to her passion and that is how she stumbled across reflexology. Reflexology allows her to give more continuity of care to the families she works with, a greater impact and hands on approach to enhancing their health and wellbeing as well as expanding her care to families outside of their childbearing years. She is a mother to two beautiful girls, a wife to an incredibly supportive husband, and an avid dancer and fitness enthusiast who loves the outdoors. The outdoors reminds her of the natural healing powers the body can harness. Her “Hands to Heel” are your family's gateway to a healthier “mind, body and sole”.